Kate is dumped on her best friend’s wedding day by the world’s most boring boyfriend, Ian. She’s mostly cross because he got in first – until she remembers she’s now homeless as well as jobless. Rather than move back home to her ultra-bossy mother, Kate takes a job on the remote Scottish island of Auchenmor as an all-round Girl Friday. Her first day is pretty much a disaster: she falls over, smack bang at the feet of her grouchy new boss, Roddy, Laird of the Island. Unimpressed with her townie ways, he makes it clear she’s got a lot to prove. Island life has no room for secrets, but prickly Roddy’s keeping something to himself. When his demanding ex-girlfriend appears back on the island, Kate’s budding friendship with her new boss comes to an abrupt end. What is Fiona planning – and can she be stopped before it’s too late? This is my favourite book ever. I love everything about it, but mainly for the romance between Taggie and Rupert Campbell-Black. And for the set pieces, which have definitely inspired me when I’m writing. Her New Year’s Eve party is so beautifully debauched and so wonderfully described. I love it – all of it. Right up to the sunrise with Patrick O’Hara, and Taggie feeling miserable under the table with a bottle of Moet, and – oh, it’s just amazing. If you haven’t read it yet, I’m jealous that you get to discover it. I know we’re supposed to think Darcy is an insufferable prig, but I think he’s actually very dry and very funny. I love the romance as it unfolds, and Jane Austen’s comedy never fails to make me laugh. It doesn’t hurt that I can’t get the vision of Colin Firth in a wet shirt out of my head when I read it now, either. Swoon. Oh, Gilbert Blythe. Anne and Gilbert’s will they, won’t they romance never gets old. I read these books so many times from the age of eleven upwards and I desperately wanted my own Gilbert to come along. I love Anne of Ingleside, when they’re older and happily married, too – LM Montgomery writes them so well. Writing this makes me want to stop and go and get them all and having a big self indulgent re-read. This was one of the first chick lit novels I wrote. It’s another one I’ve read so many times that the pages are falling out. 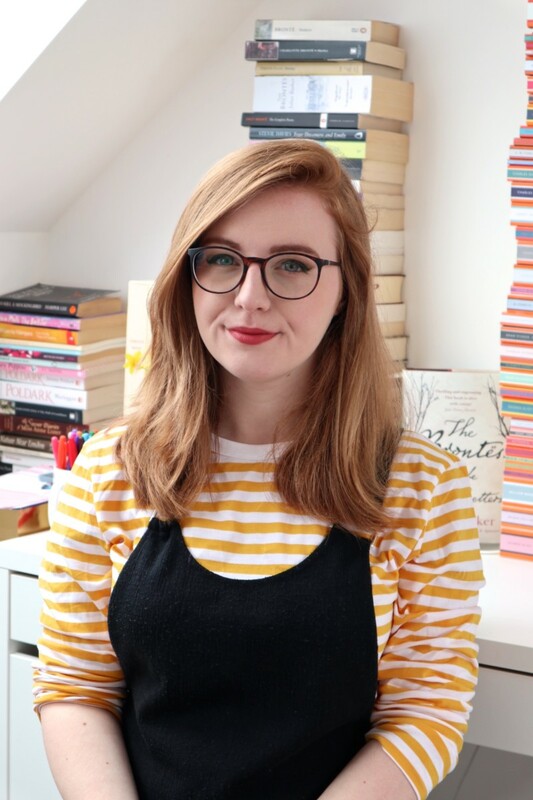 Maddy was the first heroine I read who was a bit plump and a bit disorganised and seemed normal and easy to relate to, and I love her for that. And her romance with Drew is another one that’ll have you swooning. I love all Christina Jones’ books – if you haven’t tried them, give them a read. I didn’t pick this up thinking it was going to be a romance. But the physical sensations of falling in love are written so well that you’ll fall in love with the book, and the characters, and you’ll find yourself feeling it all too. It’s utterly gorgeous. It’s a sign of a good book that three years after reading it for the first time, I just have to think about it and I start smiling. Sue Moorcroft teaches the art of writing romance (and her book on the subject was a huge help to me) and it really shows. This is a classic bit of chick lit and if you don’t end up swooning by the end of it I’ll be amazed. I’m aware I’ve swooned all over this but that’s the joy of a good romance – and I love them! Rachael Lucas is a mother, gardener, coveter of beautiful things, outgoing introvert, reader, bed lover, early morning riser, night owl and a sleep deprived mass of contradictions. She wrote her first (astoundingly awful) novel at the age of 11, bashing away every night after school on a portable typewriter. It was rejected (very kindly) by a publisher. Rachael lives by the seaside in the North West of England with her partner, their blended family of six children, a very hairy dog and two and a half cats. She likes listening to BBC Radio 4 and thinking about writing. When she is writing, she hates everything and everyone and doesn’t brush her hair. For more about Rachael, visit her blog at www.talesfromthevillage.com or say hello to her on Twitter, where she can be found talking nonsense under the username @karamina (and if you ask, she’ll explain the origin of the slightly odd name). 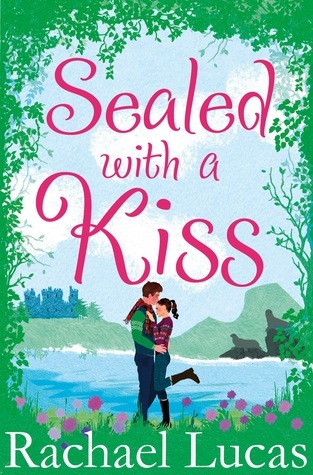 Sealed with a Kiss is out on 8th May from Pan Macmillan. This sounds like a fun read! I still need to read my copies of P&P and Anne of Green Gables but I adored Fangirl. Great choices Rachael! I think she will love “Going the Distance”!! !